It’s time for another movie review presented by our good friends over at FatCats Gilbert on the southwest corner of Greenfield and Baseline! FatCats Gilbert is the best place to see all of the latest blockbuster hits like Justice League, Coco, and Thor: Ragnarok! To see all showtimes and to purchase tickets, you can click right HERE! This movie has been on my radar for a while now, and I’m so happy that I finally had the chance to see it! I adore The Room, and it’s a movie that has brought me joy for a long time. It was on my list to add to my Blu-ray collection for years, but I made a trip out to Los Angeles last year and stopped in Amoeba Music in Hollywood where I found one of the Holy Grails of my Blu-ray collection, a brand new copy of The Room. Well, it was brand new when I picked it up. It’s now out of its packaging and a few watches in. When I brought the copy to the checkout counter, the man who checked me out told me that Tommy Wiseau actually comes into Amoeba Music and personally sells the Blu-ray copies of the movie to the shop. If he told me that any other person in Hollywood came in to personally sell copies of their movie to a record shop, I probably would have been surprised. Tommy Wiseau is a bit of a different story. I wasn’t shocked at all. If you don’t know the story of The Room, it’s widely regarded as one of the worst films ever made, but it went on to gain cult status and is now watched all over the world! 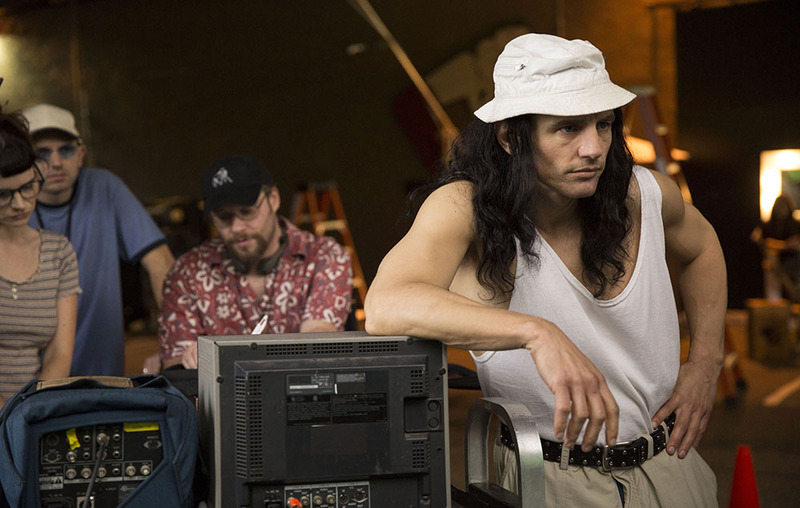 The Disaster Artist tells the story of the making of that movie! The Disaster Artist is directed by and stars James Franco, Dave Franco, Seth Rogen, Alison Brie, and Paul Scheer. Tommy Wiseau is an odd, mysterious man who made an odd, mysterious movie called The Room, and somehow, both he and his movie have managed to secure themselves a spot in cult history. Movies like The Room don’t just happen. It takes a dream, a dreamer, and incredible resilience in the faces of those who don’t believe. Luckily, The Disaster Artist demystifies a little bit of the insanity that is The Room. I adored this movie. I couldn’t wait to see it, and I ended up loving it just as much as I wanted to, yet I found myself loving it for an entirely different reason than I had anticipated. Honestly, this crew could have made a shot-for-shot remake of The Room, and I probably would have seen and loved the movie. They could have very easily spent the entire film taking shots at Tommy Wiseau and Greg Sestero for making possibly the worst movie of all time. Instead, they made one of the most heart-felt and inspiring movies of the year. They did shoot some of the classic scenes from The Room, and you get to see them in all of their ridiculousness, but The Disaster Artist is so much more, and it gives layers of humanity to one of the strangest human beings to ever walk this earth, Tommy Wiseau. His vision might be crazy, and he might be an awful actor, director, screenwriter, and producer, but at the end of the day, this is the story of passion. This is the story of what it’s like to want something worse than anyone in the world wants it, and Tommy stops at nothing to achieve his dream. It’s unbelievably easy to get behind Tommy and want him to succeed purely because of his passion, his drive, and his desire. This movie is hilarious, just as you would expect seeing James Franco, Seth Rogen, Paul Scheer, Nathan Fielder, and more in a film together, but it also has that heart that makes the emotional connection so genuine. There are times in which I started laughing, but after cracking up for a few seconds, I stopped and realized that there was this honest intention from Tommy to give his soul to his craft, and I started to feel bad for him. That switch never feels jarring, and I loved when the movie jumped over that line to the heart-felt side of the story. James Franco is also incredible in this role. Everyone who has seen The Room has their own Tommy Wiseau impression. 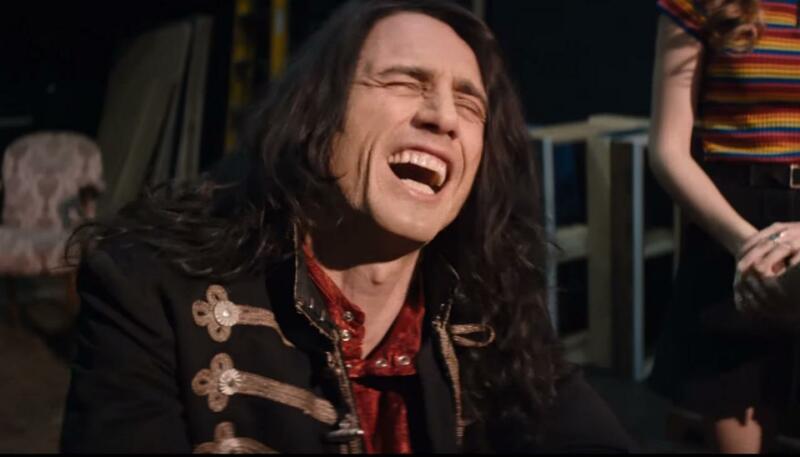 While the trailers for The Disaster Artist might seem like the movie is all for fun, James Franco becomes Tommy Wiseau. This is no impression. This is James Franco becoming Tommy, and I stopped questioning it after the first scene. I’d love to see Franco get an Oscar nomination for this role. I think that you have to take the level of difficulty into account. Often times we see great performances in roles that have low levels of difficulty. Portraying Tommy Wiseau in a way that doesn’t feel like a cheap impression is, in my book, as difficult as it gets, and James Franco did it. He made me forget that he was portraying another individual, and I was sold on Tommy as a person who would move mountains to make his dream a reality. I also loved the relationship between Tommy and Greg. Yes, it’s weird, and it’s probably not something that I would endorse, but seeing the two go after their goals and continue to try after failing and failing and failing gave me some hope. Every single sign from the universe was telling them that there was no feasible way for them to be stars, but that didn’t bother them. That didn’t stop them from trying, and that made them so easy to cheer for as an audience member. I don’t think that Dave Franco will get enough praise for his role, but he is the one keeping this movie grounded. James Franco had to go larger than life while Dave Franco had to neutralize and ground the film, and he does such an incredible job. I’d love to see both Francos be nominated for this one, and I wouldn’t mind seeing James nominated as a director. This kind of commitment and dedication to the film is second only to Tommy Wiseau. One key difference is that Franco must have conducted a set of synchrony whereas Wiseau conducted a set of chaos. The two films are equal in passion, but on opposite ends of the spectrum when it comes to unity. Overall, I absolutely loved this film. I think it’s one of the best of the year, and it’s a genuine look at passion and a person who refuses to take no for an answer. It’s hilarious, but it’s also truly heart-felt. There are multiple scenes throughout the film that made me laugh, but I slowly came to a stop and instantly felt bad for laughing because of how real and honest Tommy is, and Franco’s performance as Tommy is just as real. This isn’t a cheap impression that you would see from fans. This is a commitment to becoming Tommy, and it took me about ten seconds to realize just how serious James Franco took Tommy Wiseau and his movie. He could have taken shots at Wiseau’s expense, but The Disaster Artist is done with respect and genuine care. I’m going to give The Disaster Artist a 9.3/10. Will you be seeing The Disaster Artist? Comment down in the comment section and let me know! As always, thank you, and keep listening to 88.7 The Pulse!